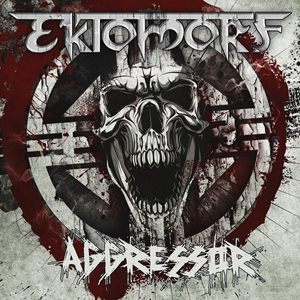 Hungarian thrashers EKTOMORF are one of the most consistent forces in the heavy music scene. A band that never disappointed their fans and stood true to what they are: a powerful, unstoppable groove machine. Following their Retribution album (which was released in early 2014), another successful headliner tour and numerous festival gigs, the band around charismatic frontman Zoli Farkas now presents its new album. Continuing their no-nonsense philosophy, the title Aggressor is not misleading at all - in fact this new piece of work definitely is the band’s heaviest and most energetic to date. Also, Aggressor is a return to some old EKTOMORF marks from earlier days, like the Eastern European gypsy harmonies and grooves, which give a special dark and unique atmosphere to the album.